The iPad may be the catalyst, but look beyond the platform, and you’ll see a reinvigorated examination of how to think about musical interfaces. If you’re looking to relax and make some musical noises on your iPad, check out the videos above. It isn’t actually necessary to fully understand the design work behind the interface to play and make music. But if you are interested in reflecting on the way design issues impact musical expression, and you’re a bit of a music theory nerd, read on. And, bonus, it all demonstrates why arranging pitch by the Circle of Thirds can be ideal. I got a chance to talk to the developers of SoundPrism about the thinking behind the software. 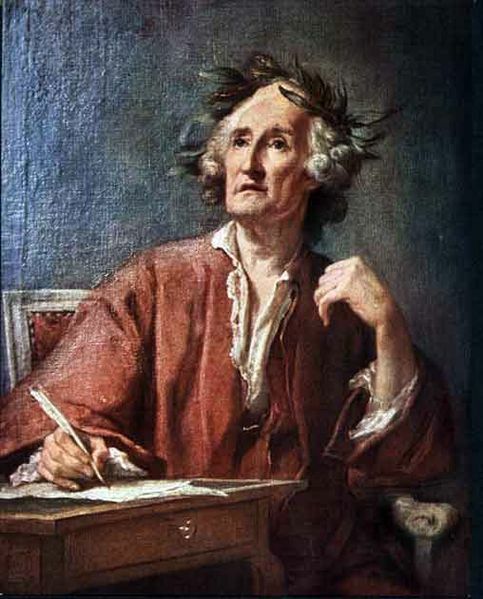 We will get a mention of Jean-Philippe Rameau. I just hope it doesn’t start a debate between Rameau and Lully fanboys again. Sebastian Dittmann, CEO of developer Audanika, talks to us about the software. CDM: What’s your background as a developer / musician? Sebastian: I wouldn’t call myself developer although I’ve been working in IT and digital media creation/marketing before. I come from a very-music oriented family – both parents opera singers, so I had to learn to play the piano, but can’t play it very well. I met Gabriel Gatzsche – the inventor of the technology SoundPrism is based upon – during a colloqium for music in digital games at the Fraunhofer Institue for Digital Media Technology when he was showcasing an earlier prototype of it back then. His demo of 5 minutes taught me more about harmonic theory than years of piano lessons before. That was 10 months ago and he is now the CTO of our company that we decided to found. Can you talk about what inspired the pitch layout on SoundPrism? The idea for SoundPrism is quite old actually. About 22 years ago Gabriel’s father found that organizing tones of keys in a circle of thirds makes it very easy to understand basic harmonic theory because the visualization ‘just makes sense’. Back then he taught it to his two sons, Gabriel and David, and from then on they passed all music school theory exams with flying colors. He tried to convince their teachers that this method was far better for teaching children but they didn’t listen to him at all. David studied music to be a guitar/music teacher, writing his final thesis about the didactic concept of SoundPrism. Gabriel studied media technology and wrote his dissertation about it and came up with software that made it possible to not just use the theory to explain music but also to play music with an interface that is set up like the theory. During his dissertation he found out that lots of other scientists came up with similar concepts. He quoted them in his thank you note to the team when we submitted SoundPrism to Apple: Jean-Philippe Rameau, Leonard Euler, Moritz Wilhelm Drobisch, Hugo Riemann, Moritz Hauptmann, Fred Lehrdahl, Carol Krumhansl and Werner Pöhlert just to name a few. The reason we are able to actually use these concepts now is that we finally have interfaces that can change visually and aren’t static. I see SoundPrism as knowledge poured into a dynamic interface that enables users to just use that knowledge without having to acquire it first. Could you describe – for people comfortable with music theory – how it’s laid out and why? SoundPrism is based on Hauptman’s array of thirds in its vertical dimension and horizontally on a pitch class/pitch height model by Moritz Wilhelm Drobisch. We found the combination of these concepts allows musical interfaces which enable the player to control both harmony and melody at the same time in an optimal way. This is just the very first version in the first configuration on the iPad though. There have been prototypes using Space Navigator technology, a WiiMote, Jazzmutant Lemur and also multi user augmented reality installations with camera based motion tracking. You’d have to talk with Gabriel about this since there’s a lot more to it. The interface right now is tailored for tablets like the iPad. We’ve evaluated other representations with field tests and the current form lets users express themselves freely while at the same time guiding them gently to ‘do the right thing’ from a harmonic standpoint. Gabriel alone has spent 5 years of his dissertation working on the concepts and there’s lots of music psychology and other really complicated concepts involved in it that I’m not the right person to explain. Ed. : I wanted to go ahead and get this out there, but if you’re interested, readers, I’m happy to pursue. Have you considered providing control data to other applications (i.e., routing over WiFi, Bluetooth, etc. to a computer for people wanting to use this as a controller)? Obviously, at this point, you’re just waiting on Apple approval, but any plans generally for the future? SoundPrism is really just the beginning. We think we roughly know what musicians want because our team consists of musicians. At the same time we already have other prototypes and ideas that do very neat stuff beyond the scope of the current implementation of SoundPrism for the iPad. But we hope for lots of constructive feedback from all over the world so we can add the features people want that we haven’t though of yet. I have to say I’m a bit nervous because I didn’t think SoundPrism 1.0 would get that much attention already before we’re live. One of our dreams is to establish the SoundPrism technology as a widely used tool. Not just for musicians but also as a door to the world of creating music for people who don’t think they can play an instrument. SoundPrism will be at around 4 US$ initially. That might change later on and we’re also planning to include an InApp store for people to add more features, sounds and other really neat stuff. Follow CDM on Twitter and I’ll post when the app is up. Thanks to Chris Mousdale for connecting us with the developers!